Tue., 20 Aug. - Wed., 4 Sep. Sat., 18 May - Sun., 18 Aug.
Wed., 24 Jul. - Wed., 7 Aug.
Wed., 17 Jul. - Wed., 31 Jul. 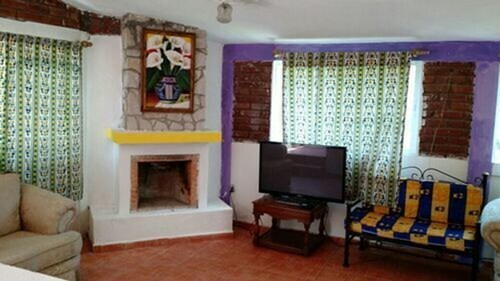 See all 21 properties in Guadalupe Victoria Durango Intl. 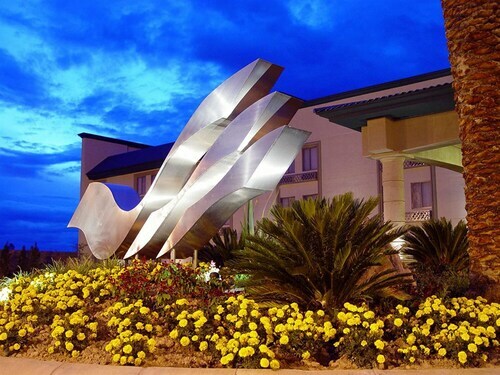 Situated in Durango, this hotel is within 9 mi (15 km) of Paseo Durango Shopping Center, Sagrado Corazon de Jesus Cathedral, and Morelos Garden. Temple of San Juan de Dios and Francisco Villa de Durango Museum are also within 9 mi (15 km). Situated in Durango, this hotel is within 3 mi (5 km) of Paseo Durango Shopping Center, Sagrado Corazon de Jesus Cathedral, and Morelos Garden. Durango Cathedral and Calle Constitucion are also within 6 mi (10 km). 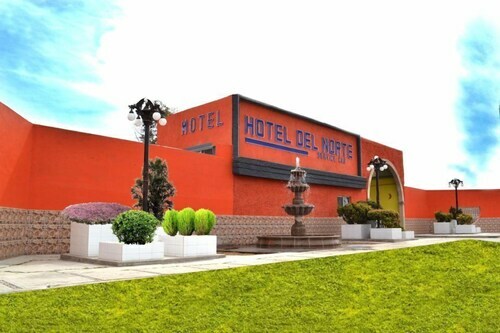 Situated in Durango, this hotel is 3 mi (4.8 km) from Paseo Durango Shopping Center and within 6 mi (10 km) of Durango Cathedral and Sagrado Corazon de Jesus Cathedral. Morelos Garden and Calle Constitucion are also within 6 mi (10 km). 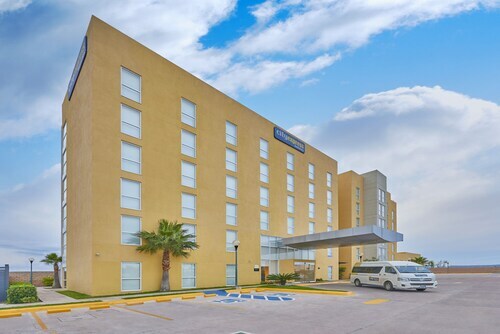 Situated near the airport, this hotel is 3.1 mi (4.9 km) from Paseo Durango Shopping Center and within 6 mi (10 km) of Sagrado Corazon de Jesus Cathedral and Durango Cathedral. Durango Regional Museum and Museum of Sacred Art are also within 6 mi (10 km). Situated in Durango, this cabin is within 9 mi (15 km) of Sagrado Corazon de Jesus Cathedral, Durango Cathedral, and Morelos Garden. Conde del Valle de Suchil Palace and Mining Tunnel Museum are also within 9 mi (15 km). 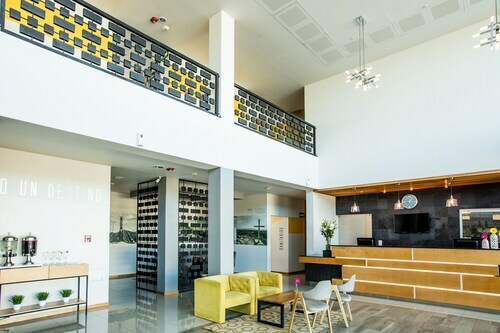 Situated in the business district, this eco-friendly hotel is 1.5 mi (2.5 km) from Paseo Durango Shopping Center and 2.8 mi (4.5 km) from Durango Cathedral. Sagrado Corazon de Jesus Cathedral and Morelos Garden are also within 3 mi (5 km). 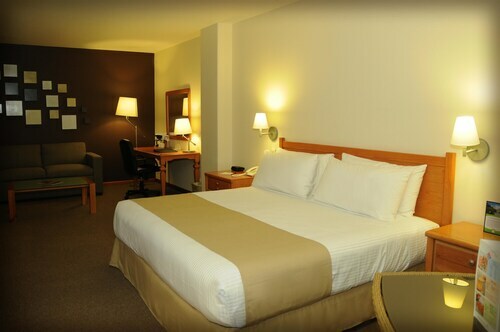 Situated in Durango, this hotel is 1 mi (1.6 km) from Paseo Durango Shopping Center and 1.9 mi (3.1 km) from Durango Cathedral. Sagrado Corazon de Jesus Cathedral and Morelos Garden are also within 2 mi (3 km). Located in the heart of Durango, this hotel is 0.7 mi (1.2 km) from Paseo Durango Shopping Center and 1.6 mi (2.6 km) from Durango Cathedral. Sagrado Corazon de Jesus Cathedral and Morelos Garden are also within 1 mi (2 km).